You are here: Home / Shop / Washer Odor S.W.O.C.™ / Washer Odor Controller S.W.O.C. You just love your Front-Loading Automatic Washer, but sure wish you could get rid of the odors that build up in your washer with an odorless product. Are you fed up with laundry smelling like mildew? Are you tired of musty, moldy or sour odor in dish towels and linens? S.W.O.C. – Washer Odor Controller products is the solution! You’ll be required to use your nostrils to do the sniff test and smell that your frontload or top loading washing machine is clean and fresh with no cover up the smell. Just no odor at all! You just love your Front-Loading Automatic Washer, but sure wish you could get rid of the odors that build up in your washer with an odorless products. Are you fed up with laundry smelling like mildew? Are you tired of musty, moldy or sour odor in dish towels and linens? S.W.O.C. – Washer Odor Controller products is the solution! You’ll be required to use your nostrils to do the sniff test and smell that your frontload or top loading washing machine is clean and fresh with no cover up smell. Just no odor at all! With all of the water and energy savings that washers provide, they still require special care. 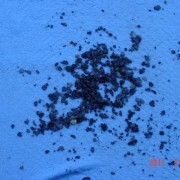 Odor-causing residue may form in hard-to-reach areas of washers. Many times people will notice that their basement or laundry room has become stinky. 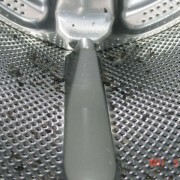 Often this is caused by their washing machine developing a musty smell. 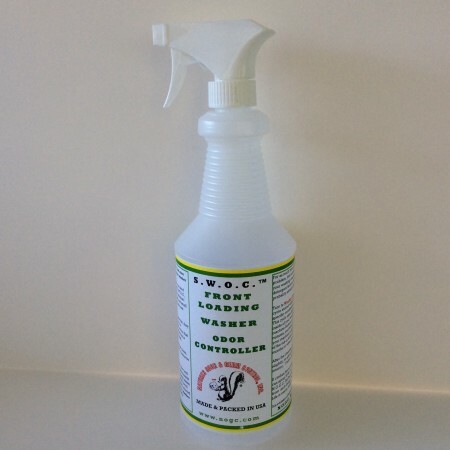 S.W.O.C.™ washer cleaner will get your washing machine clean, so you can enjoy no smell in your laundry area or cellar. It removes odor-causing residue and kills mold and mildew. S.W.O.C.™ cleaner is fast and simple. Open the washer door and remove any clothing or items from the washer. Simply spray inside of the tub a couple of times and pull back the bellow to spray inside of the door seal/bellow, let sit overnight. Use a throw away towel and really wipe down and clean all of the black on the gray colored seal. 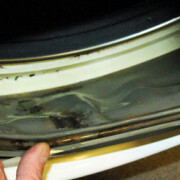 This routine maintenance will keep the inside of your washer sparkling clean and no odor. S.W.O.C.™ is environmentally friendly, safe on septic tanks, and safe for all washer components. For as much time and money is spent trying to remedy this problem, the solution is surprisingly simple: you need to clean your washing machine. While it’s great at cleaning your clothes, detergent fails as cleaning washing machine; and you’ve probably already learned that bleach is no better. Turn to Washer Care in your user manual and follow the special cycle stored within the machine’s programming. Pressing a specific combination of buttons will access this cleaning cycle. This cycle uses higher water volumes to thoroughly clean the inside of your washing machine. DO NOT ADD anything to the machine before or during this cycle. Some Machines will run 45 minutes, and when this process is through, do not be surprised if your machine is full of black mold. The best way to get this out of the tub is with a shop vacuum. Repeat this process every six months or when you do the sniff test. After the cleaning cycle is complete, leave the door open, slightly, to allow for better ventilation and drying of washer interior. Be aware what your manual tells you to use for detergent. If clothes have picked up this musty, mold and mildew odor, you can spray S.W.O.C.™ on them or use our laundry aid 1/4 cup dba N.O.G.C. 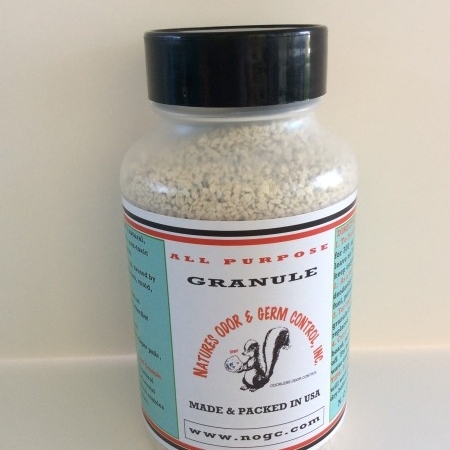 All-Purpose Granule per load to deodorize clothes from such things as gasoline, diesel fuel, pet odors, etc. Life is easier with our products. 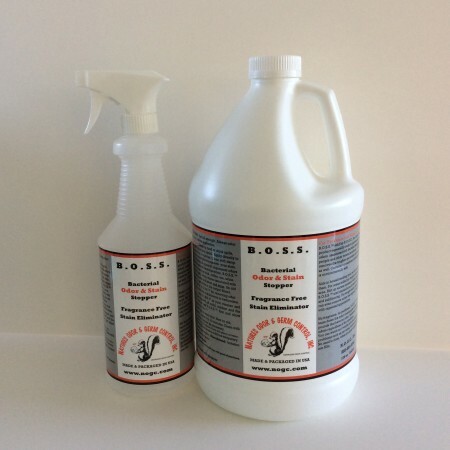 Odorless Deodorizing & Disinfecting Kit Case (12) 32 oz. B.O.S.S.